Did you know that it’s really easy to make your own ricotta cheese? 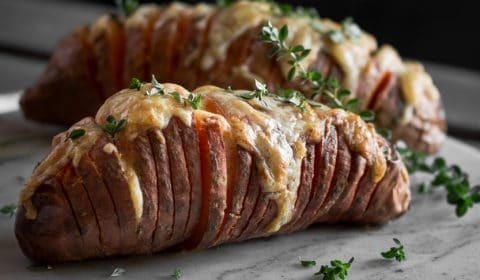 Give it a go, and try making your own unique version by adding herbs, spices, nuts or anything else that floats your boat! Homemade ricotta is super fresh and is so much better than most ricottas you buy in the supermarket. No special or fancy equipment is required. It doesn’t take a long time to make. You honestly won’t believe how simple and easy it is to prepare if you’ve never made it before. 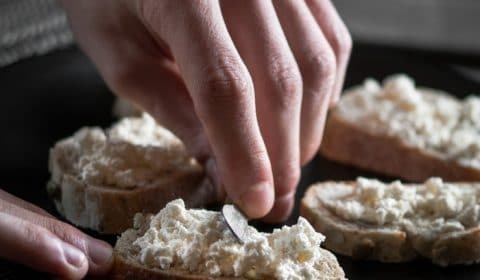 How is ricotta cheese made? So, the 2 most obvious forms of acid are vinegar and lemon juice. I’m sure you could use other forms of acid but we’ll just stick to those 2 for now. I won’t get into too much detail simply because I am no scientist, but the idea is that when acid is added to hot milk, the proteins in that milk will coagulate (change to a solid state). This process is known as protein denaturing. So to explain this in the simplest form. 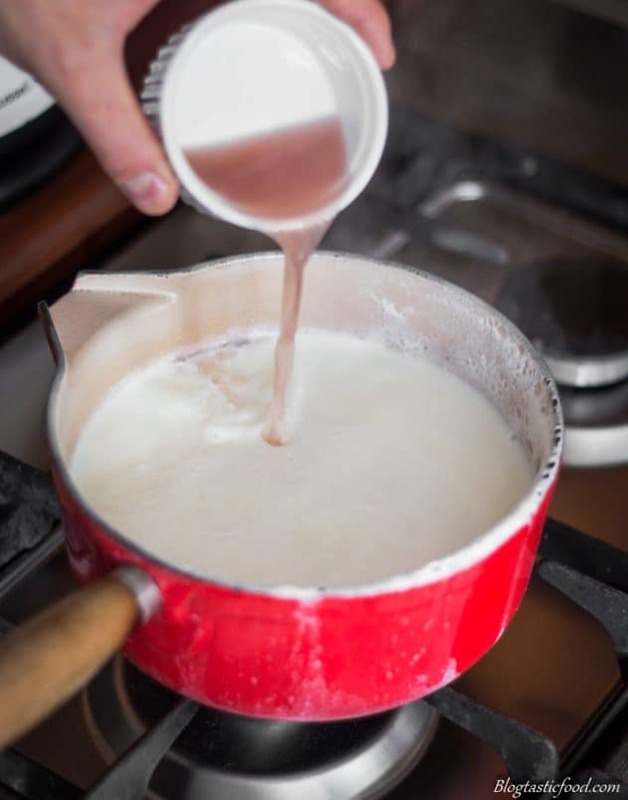 You add the acid to milk that has just been boiling then give it a quick stir, you leave it, then after some time has passed by, you will notice that the milk solids have separated from the watery contents. When you add your acid, I recommend stirring the milk once and once only. From there you just leave it alone. I have made the mistake of messing about with it too much and I kept mixing it too often. Which ended up making the milk curds too thin. Oh, and when you strain your cheese, I recommend that you use cheesecloth. 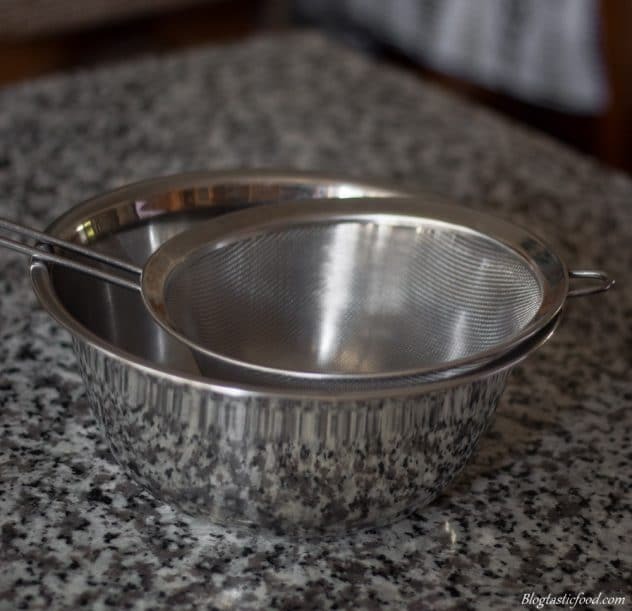 Just using a sieve will work, but it won’t do as good a job when straining away that unwanted liquid. Plus the cheesecloth will ensure that you catch all of those curds. Put the sieve over a large bowl, then put a nice large sheet of the cheesecloth over the sieve. That way, you should be able to strain the ricotta nice and easy. 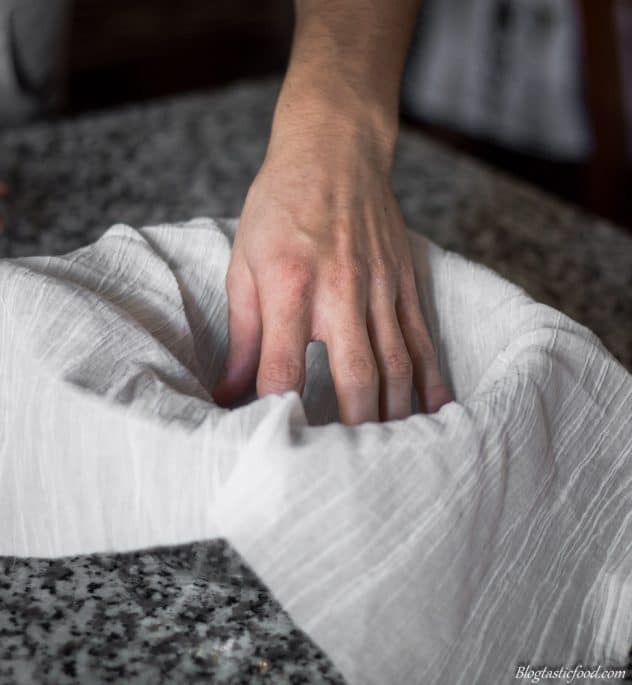 You can buy cheesecloth in fabric stores and kitchen shops. I actually tried making ricotta cheese with a reduced-fat milk (we call this hi-lo milk in Australia, you may call it something different). Does it work? Yes, it does. Do I recommend it? Meh, probably not. I believe that the fat is important. Some people even add a touch of cream for extra fat, so if you wish to give that a shot, feel free!! You probably can’t see a huge difference when observing the two photos below. The ricotta made with the full-fat milk (whole milk) looks a bit richer in colour and soft in texture, but trust me, taste-wise, there is a huge difference. Of course, the full fat being so much better. Just think about this in terms of steak. Think about one high-quality piece steak with all the marbled fat running throughout it. 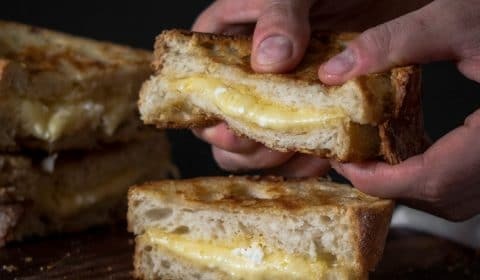 You cook it to perfection and it turns out super moist and tender. Now think about a tough, low-quality piece of fatless steak beside it that has been overcooked. Hopefully, this gives you an idea of how the 2 ricottas differ from one another. The ricotta made with the reduced fat milk was a bit dull in flavour and spongy in texture. So in my eyes, it isn’t really worth taking the time to make ricotta with hi-lo milk or skim milk if that is the result you’re going to get. However, I believe it’s totally worth it if you use full-fat milk. At the end of the day. It really depends on what you want. 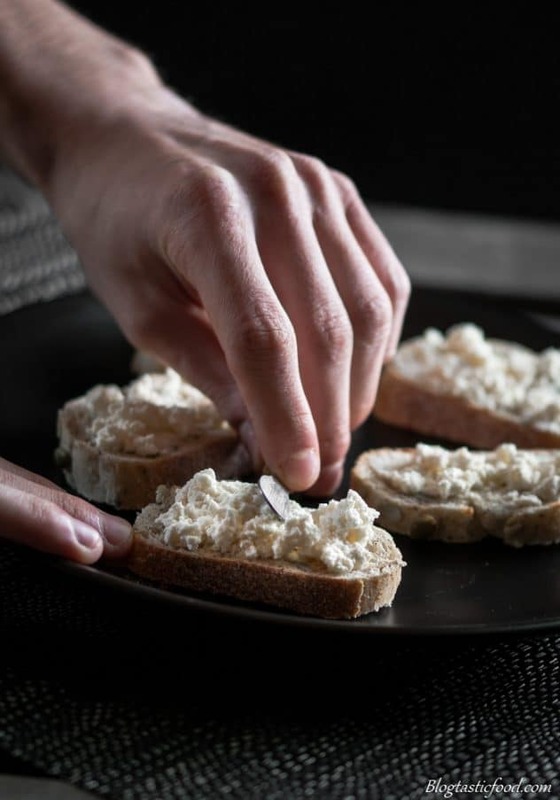 If you simply want to spread your ricotta on cruskits for a snack or serve them on crostinis as an appetizer. Then you probably don’t need to worry about drying the ricotta out for very long. However, if you want to use your ricotta as a filling, then perhaps a dryer consistency will be better. Keep in mind that this isn’t really all that important, just something to keep in mind. And that’s about it ladies and gents. As always, I want to thank you so much taking the time out of your day to check out my post. I really hope you got something out of this. 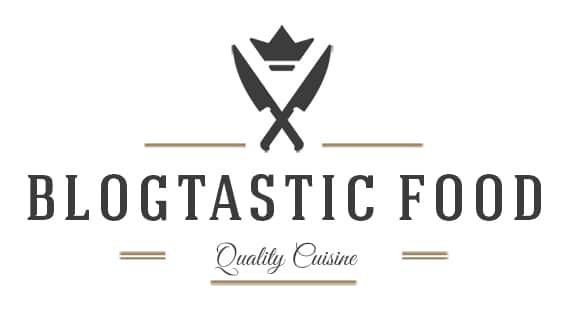 If you would like to be notified about new recipe posts, feel free to subscribe. Have an amazing day, and I’ll send another post your way soon. Put your milk and a good pinch of salt in a pot. Heat up over the stove on high heat (keep an eye on the milk as it can boil over and make a huge mess). Just as the milk comes to a boil, turn the heat off, then add your lemon juice/vinegar. Give the milk a gentle stir, you should start to see the curds separate from the water content. Set the pot aside then leave it for about 15 minutes. Put a sieve over a large bowl, then put a layer of cheesecloth over that sieve. 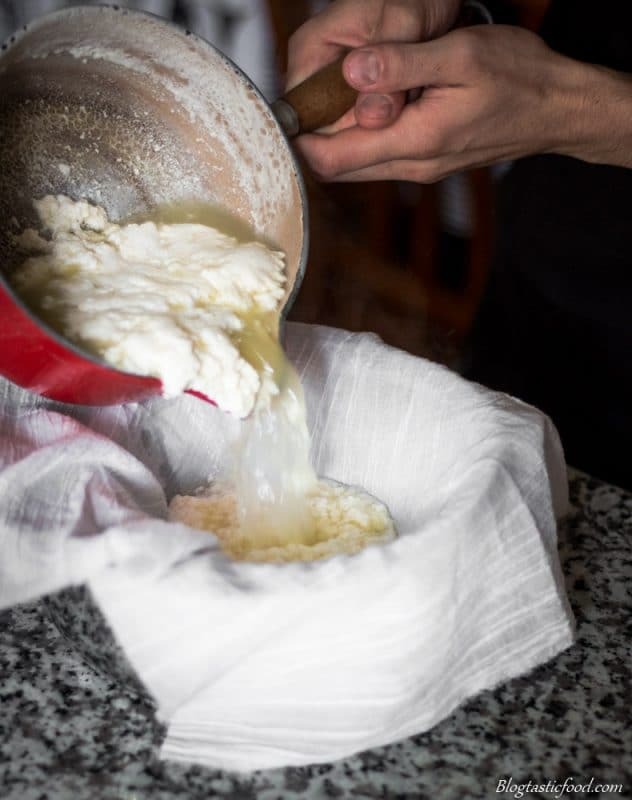 Strain the cheese curds, then leave the ricotta to dry out on the cheesecloth. I recommend anywhere between 30-60 minutes. 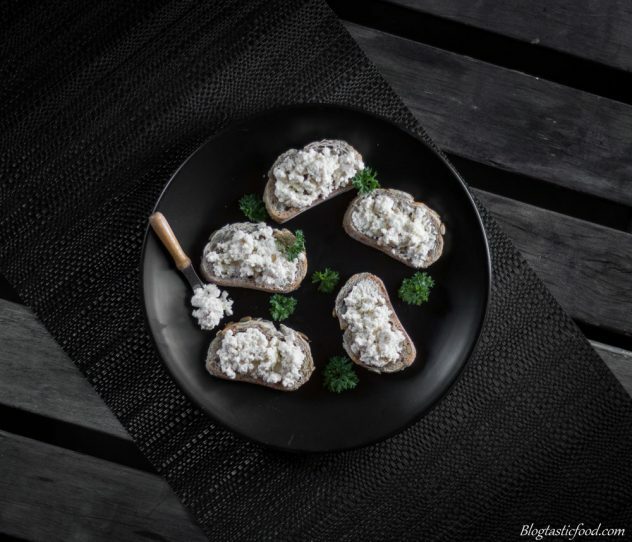 The longer you leave the cheese, the dryer the consistency will be. From there, put your ricotta cheese in a container, then store it in your fridge. Fresh, homemade ricotta can keep in your fridge for about a fortnight. When you add the acid, stir the milk once and once only. 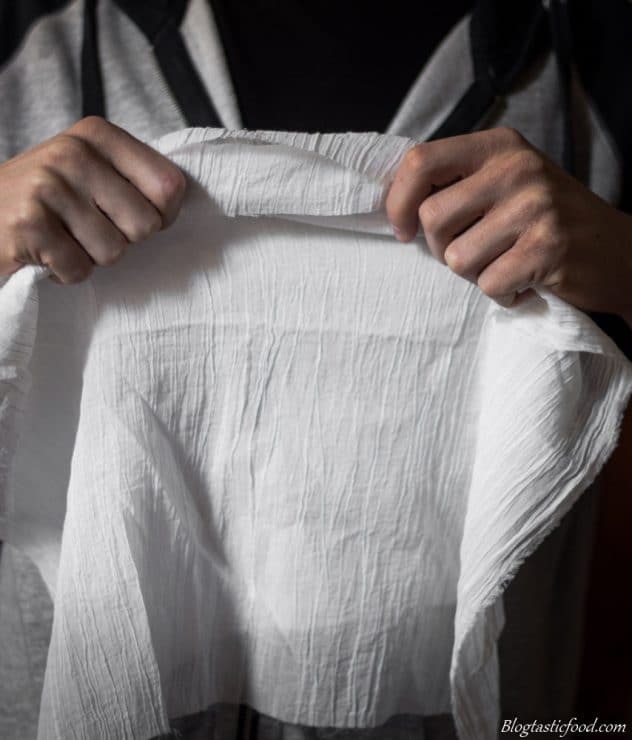 Using cheesecloth will leave you with a much better result. I highly recommend that you that you use full cream milk (wholemilk). 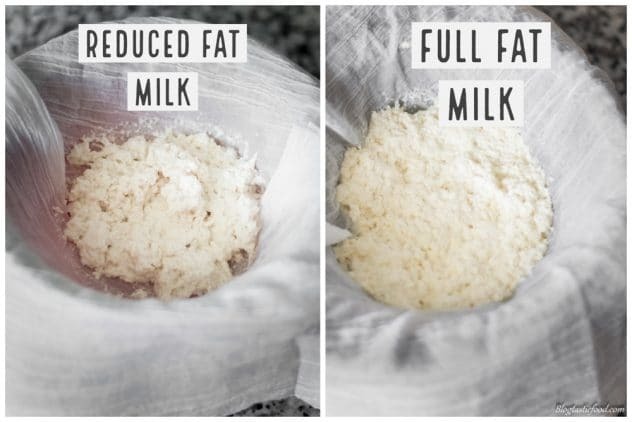 Any type of reduced fat milk won't leave you with a high-quality result. The longer you leave the cheese to sit in the cheesecloth, the dryer it will be. How much ricotta cheese does 1 liter of milk make? I always thought that ricotta cheese was enzyme curdled so I’ve been calling the cheese I make with white vinegar or lemon or lime juice ‘paneer’. I found that I get 1 ounce of cheese per one cup of milk. I usually boil 8 cups of milk for a bit over 1/2 lb/225 gm of squeezed/pressed cheese because that works in my usual recipes. I’ve only made fresh ricotta once. My kids had gifted me a kit. It worked so easily, and the ricotta was so fluffy, I don’t know why I don’t keep making it!!! Thanks for the reminder. I should have read this sooner! I needed ricotta cheese for a recipe a couple weeks back and it was so expensive in the supermarkets. At least now I know how to make my own if I ever need it again, thanks for the tips!